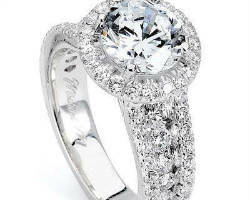 Rialto Jewelry is San Antonio's top engagement ring store that specializes in quality pieces you’ll love. They have been in business since 1984 and is a family owned business. All their diamond jewelry is hand selected from thousands of styles and is guaranteed to be the best quality for the price. 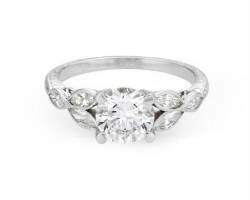 Rialto has diamond graduates on staff to help you pick the perfect diamond for your ring. They take numerous trips a year to find the perfect heirlooms for their clients and want to help you select the perfect engagement ring! They also have amazing custom jewelry and vintage/antique designs. Owned by Moses Rodriguez, Moses Jewelers prides themselves on offering unique jewelry pieces that are custom made onsite. His mission is to provide the highest quality in the manufacturing and designing of jewelry at affordable prices to consumers while attaining the highest possible customer service satisfaction. 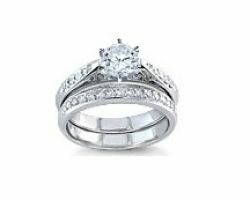 The jewelry store in San Antonio offers beautiful engagement rings for both men and for women in a variety of styles, including classic and vintage. Those looking for wedding rings in San Antonio need to stop by the shop to scope out all the wonderful pieces this jeweler has to offer. With two convenient locations in San Antonio, guests will leave with their perfect engagement ring or wedding bands. The Texas jewelry story is one of the best in the State and is committed to help you find the perfect ring that she will love. For more than three decades, Lee Michaels has concentrated on strengthening relationships within the San Antonio community to contribute to its success. They are also committed to providing superior vale and service to their customers and offer affordable pieces that work with any budget. If you’re looking for wedding rings in San Antonio, make sure to stop by Lee Micahels! 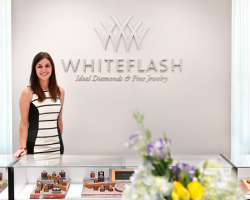 Whiteflash is a top option for San Antonio shoppers looking for top quality diamonds and engagement rings. Members of the American Gem Society and named by Kiplinger’s magazine as “Lord of the Online Rings”, you can shop online 24/7 with full confidence in the pressure-free comfort of your own home. Or you can take a short trip down Interstate 10 to visit their Houston showroom and see their impressive inventory of A CUT ABOVE® super ideal diamonds and designer engagement rings. Whiteflash is the standard setter when it comes to exceptional quality and customer care. Those in the market for engagement rings will definitely want to stop by Texas Diamond & Jewelry because they offer unique pieces and top of the line diamonds that are hand picked by their professional experts. They are proud to be the home of the famous Texas Lonestar Topaz and offer this precious stone in many different styles and settings. 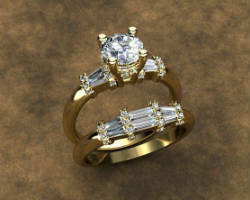 And if you are looking for that special piece of jewelry, they also create custom pieces that no one else will have. And they are always adding the latest trendy and eye-catching pieces jewelry at affordable prices.